Biography: If you watch a lot of movies from the 1930s-40s, you know Willie Best. 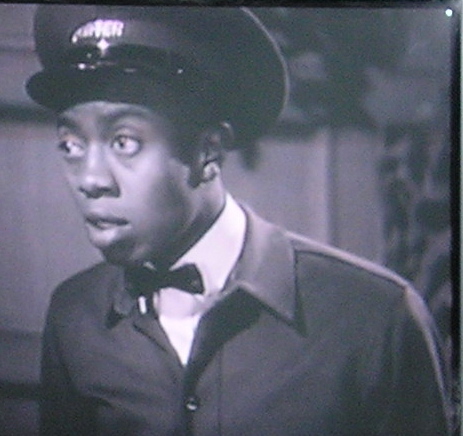 He was an extremely popular character actor who was the epitomy of the African-American "slow black male" stereotype. He appeared in two Blondie movies (#1 Blondie and #5 Blondie on a Budget). Willie Best was in another movie with Arthur Lake (Dagwood Bumstead) called "Everybody's Doing It" (1938). From the 1960s decade to the 2000s decade, black comic actors like Willie Best and his contemporaries Eddie "Rochester" Anderson, Mantan Moreland, Ray Turner, and others have been mis-judged, even blacklisted (no pun intended, although it IS kinda funny). What's interesting is that during the 2000s decade, popular attitude towards black comedy has shifted. Actors like Chris Tucker, Martin Lawrence, Bernie Mac, Chris Rock, Dave Chappelle, and so many others have brought in a whole new wave of "minstrelsy" that has become "socially acceptable" to mainstream audiences. In reality, the comedy of the modern black comics makes African-Americans look far worse than Willie Best ever did, so a lot of the old guys that got the ball rolling are allowed to be seen on television again and in DVD releases. Whether American society is becoming more open-minded or what, it IS a fact that the old-timers like Willie Best are being rediscovered and finally getting the respect they deserve for being skilled actors.